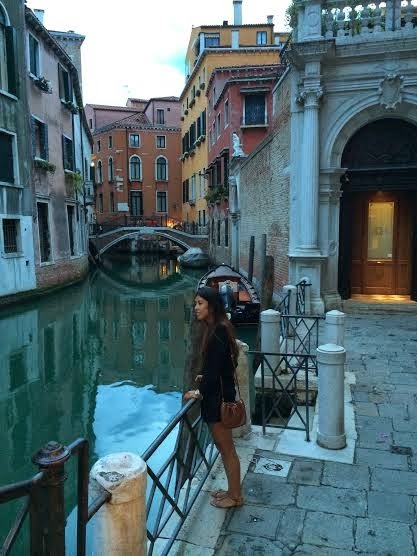 I can not tell you how much I love Venice. There is so much culture, art and history. I actually just arrived onboard that evening while the sunset over looked the islands and was ready to get out and explore this beautiful and enchanting city. This was my third time visiting this magnficent land built on canals and bridges and yet there are still many secret passages leading you to unknown, but exciting discoveries. I was in a rush to get out which meant I needed to throw on something quick! At night it tends to be a little bit more chilly so I threw on my favorite black jumper and my "go-to shorts" of summer 2014. 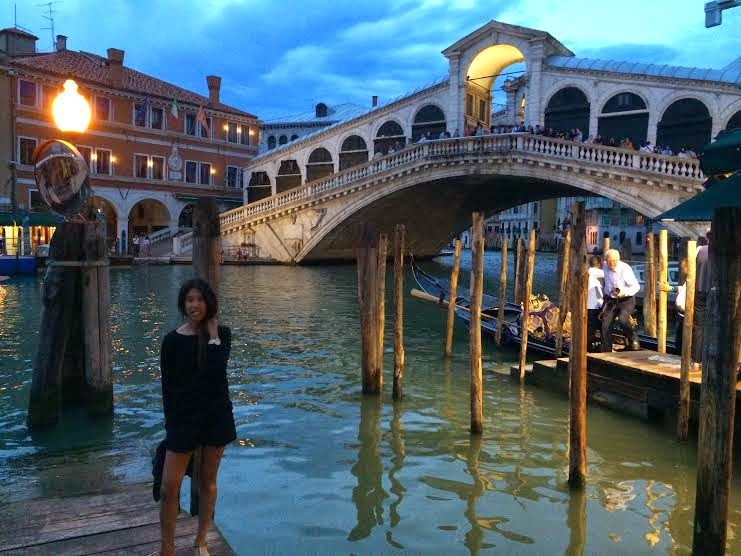 I also wanted to wear a pair of my black strappy heels for a more dressy feel, but opted to put on my brown sandals to be more comfortable, plus I knew it would be easier to walk around Venice due to the uneven pavements. 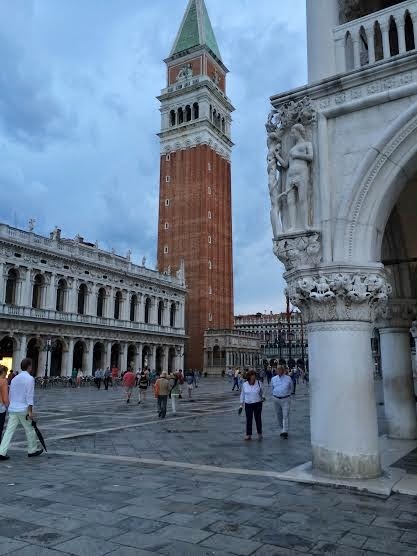 My boyfriend and I walked around Palazzo Ducale passed Saint Mark's Basillica through Piazza San Marco until we ended up near the Grand Canal. 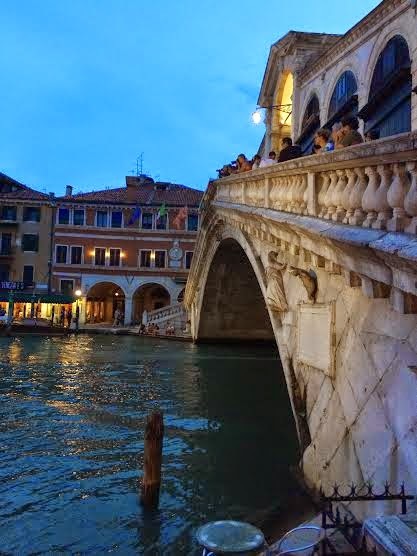 That's when we decided to have dinner near the Rialto Bridge. It was perfect way to end the night drinking white wine and eating one of Venice's typical dish, Bigoli. Delicious! 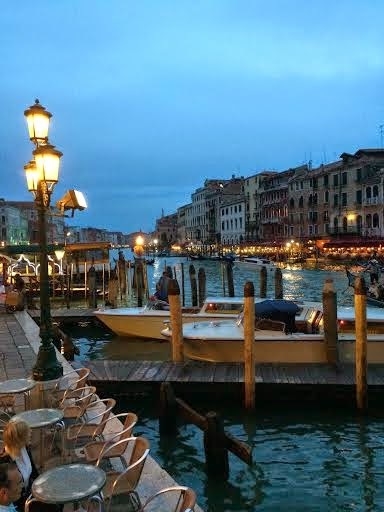 Rated as one of the top destination in the world, Venice is definitely a must. A great romantic getaway I would say! Can you believe that this city has 118 small islands separated by canals and linked by bridges? AMAZING! One of my fav movies was filmed here! Italian Job! 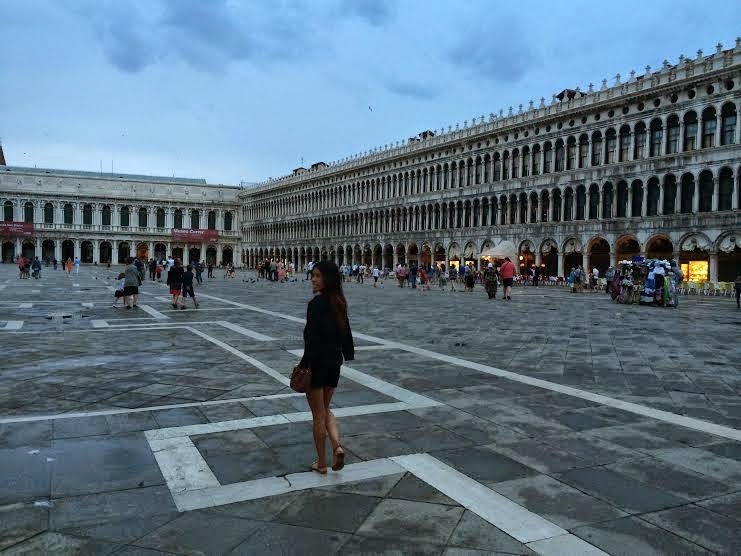 Venice is on top of my list of places to visit. It's such a culturally rich city with beautiful ancient architecture. Looks like you had a great time!